The MET is a sold out condo and townhouse development located at 6566 Nelson Avenue, Burnaby BC. 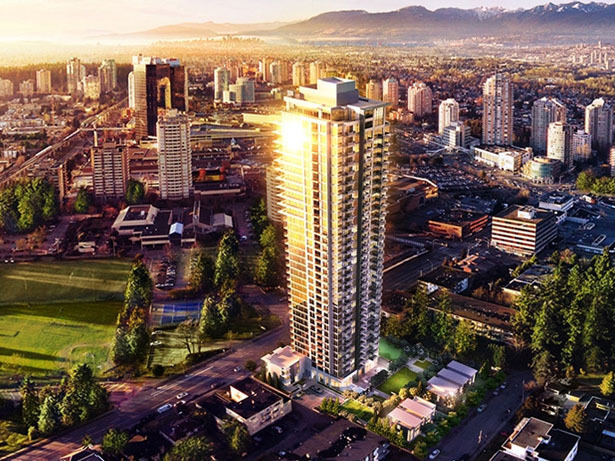 It is a 37-storey apartment building that is scheduled to complete construction in 2017. It is in a prime location in central Burnaby close to Bonsor Recreation Complex, Lobley Park, Crystal Mall, and Metropolis. 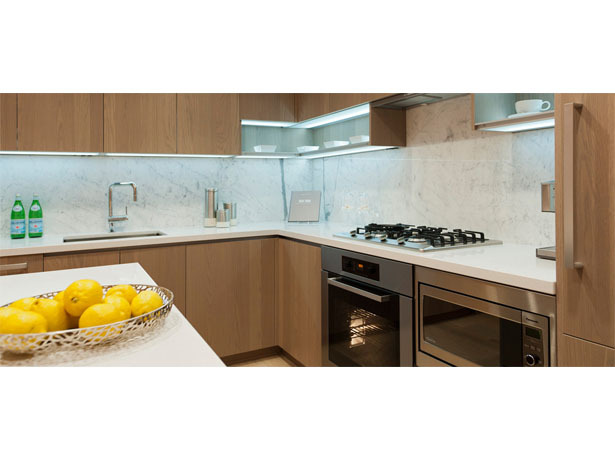 The MET Burnaby Condos are luxury living at its finest. 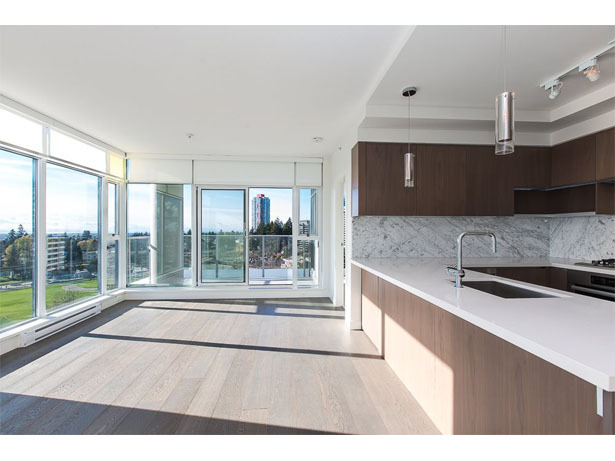 The suites feature spacious balconies, wide plank engineered hardwood flooring, electric baseboard heating, and white marble tile backsplash in the kitchen. 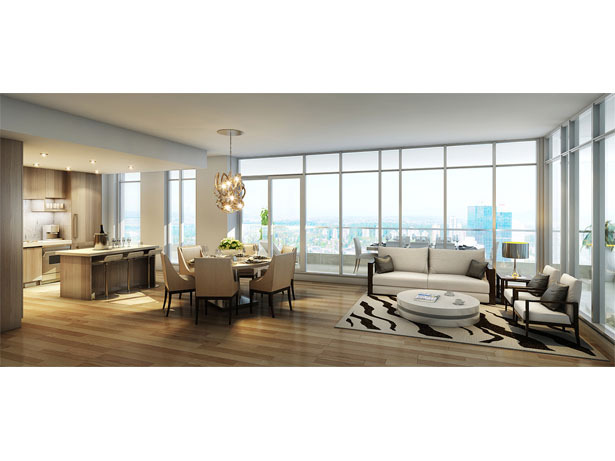 Each suite has maxamized space with an open floor plan that easily lets the natural light in. 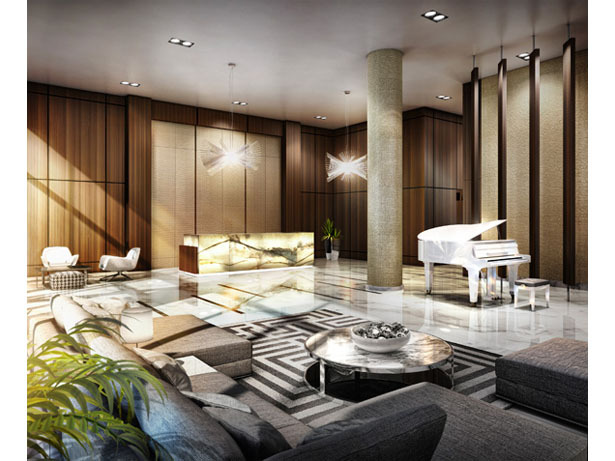 The lobby is sophisticated and elegant, and comes equipped with a concierge and grand piano. There is also a private karaoke room, formal entertainment garden, and an outdoor terrace that includes water features, a fire pit, lounge seating, and a BBQ kitchen. The building is situated in a busy area of Burnaby near Bonsor Recreation Complex, Metropolis, Burnaby Public Library, and the skytrain and bus loop. For more than two decades, Concord Pacific has been the gold standard for master-planned communities. In addition to building more than 20,000 concrete homes, Concord Pacific is renowned for after-sales service.